Welcome to St. John’s Malankara Orthodox Syrian Church. Our church serves the Indian Orthodox community in the Hamilton Area (Hamilton, Burlington, Brantford, Niagara). When we are in the presence of our merciful Lord, we become aware of our sinfulness and ask forgiveness from Him. Our worship consists of praise, thanksgiving, confession, petition, and reading of the Holy Scriptures. The Holy Qurbono is celebrated every Sunday, and all the faithful are encouraged to take part in it. The Church also provides it’s members opportunities for fellowship, study, and service. Prayer meetings are held regularly at the homes of our members. The Church emphasizes the importance of instilling Orthodox Christian values in its members. Caring for the poor and the disadvantaged has always been the concern of our Church. If you are looking for a church that is orthodox in doctrine, orthodox in worship, orthodox in values, please join us on Sundays! We provide various types of supports for newcomers and students. Please feel free to contact us or see us in the church. Note : Location and time may change according to the availability. Please contact us to confirm. Get involved in our parish with liturgical ministries and church activities. 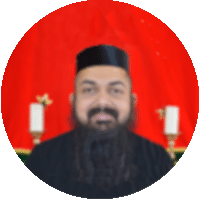 Our church belongs to the Malankara Orthodox Church of India. 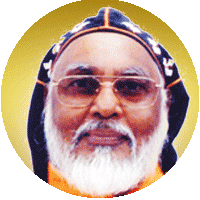 The Supreme Head of the Malankara Orthodox Church is the Catholicose of the East and Malankara Metropolitan, H.H. Moran Mar Baselios Mar Thoma Paulose II, based in Kottayam, Kerala, India. 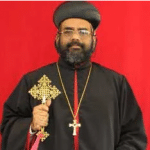 Our Parish is under the Northeast American Diocese of the Malankara Orthodox Syrian Church. Previously, our Diocese was collectively known as the 'American Diocese'. In 2009, the Malankara Orthodox Church decided to divide into two dioceses, namely - the ‘Northeast American Diocese’ and the ‘Southwest American Diocese’. The North East American Diocese is headquartered in the Long Island suburb of Muttontown, New York. 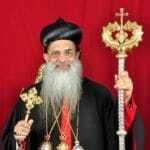 His Grace Zachariah Mar Nicholovos is the current Metropolitan of our Diocese. Copyright 2019 - St John's Malanakara Orthodox Church.